Steve, Husband Extraordinaire, traveled to see the total solar eclipse last week. I’ve asked him to do a guest post sharing his amazing experience. Here's Steve. I don’t post on Cindy’s blog often, but it’s not because I’m not creative. Many of the photographs she shares are ones I’ve taken, and you've seen various projects I’ve built for Cindy’s craft room. My creative passions involve photography, astronomy, and building things with my hands. 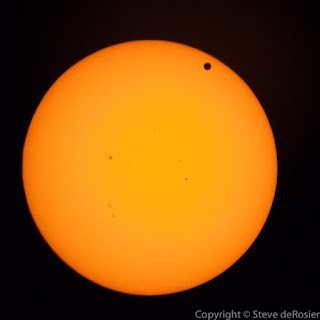 ... as well as Venus transiting across the face of the Sun. 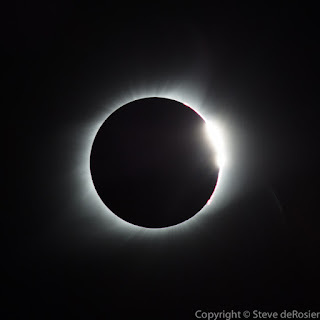 Both events were amazing opportunities in themselves, but what I’ve always wanted to do is witness a total eclipse of the Sun. 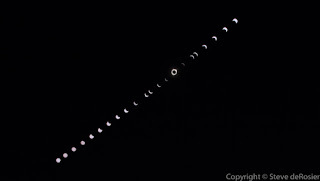 The eclipse last week was my first opportunity that was close enough to go see. Eclipses do take some planning, however. I’ve been counting on going to see this eclipse for over two years. First, you have to choose the right spot. The moon’s shadow across the earth (called the “umbra”) is only about 60 miles wide. It moves across the landscape at a pretty fast speed. You also need to pick a place where you’re not likely to have any cloud coverage. 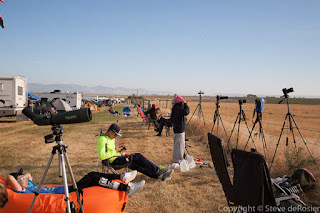 I was lucky that a perfect place for viewing the eclipse was only about 500 miles from my home here in California. 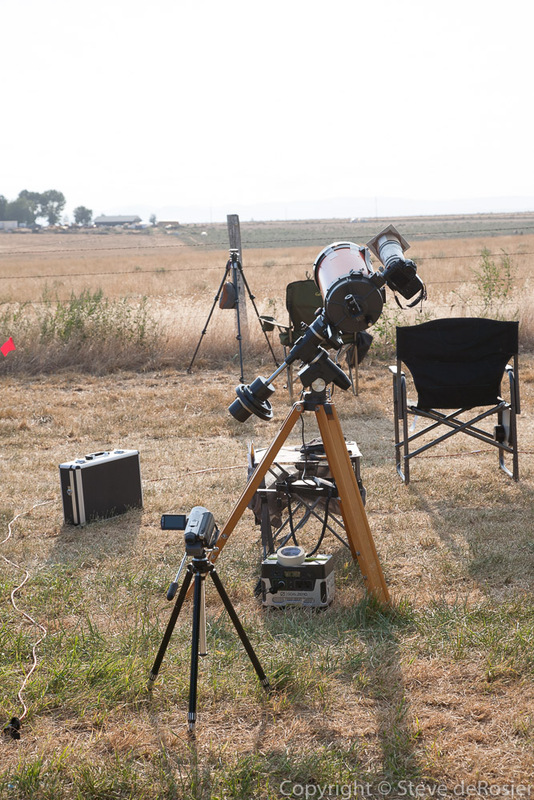 So, for the past several months I planned on seeing the eclipse from Madras, Oregon. Madras is perfect as it is in the exact center of the eclipse track and is high desert so it rarely has any cloud cover during the month of August. Of course, the very things that made it attractive to me made it attractive to many people. 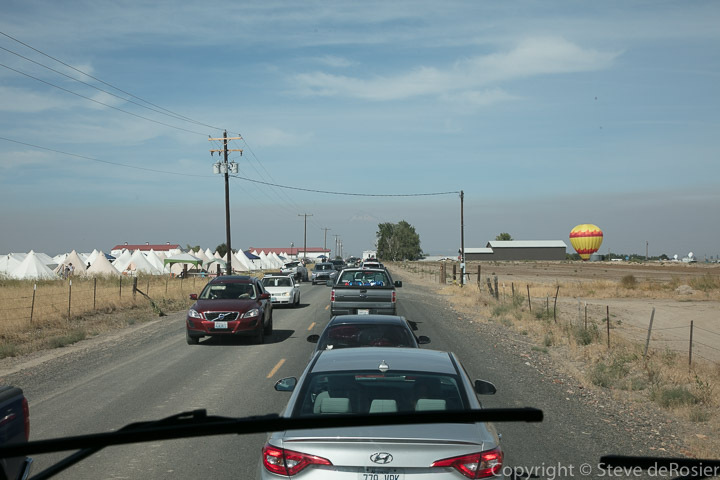 I do not know the final numbers, but the town of Madras (population 6,200) was expecting nearly 100,000 people to come see the eclipse. 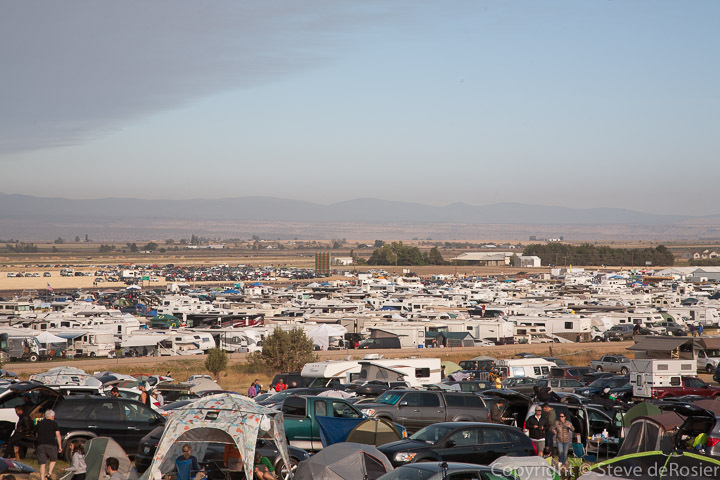 Every hotel, business with a parking lot, or farmer with a field was selling spots for camping or just parking for the time of the eclipse. With this much overloading, I planned to get up there in plenty of time and to be able to just stay put. 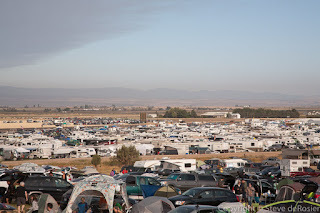 Thankfully my parents and my sister agreed to accompany me to the eclipse and so we were able to take advantage of the camping opportunity that their motor home offered. 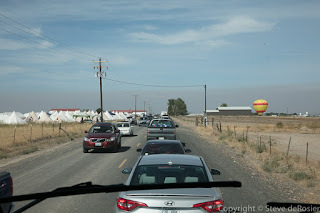 We went up to the area around Bend several days before the eclipse, both to enjoy the many things that central Oregon offers as well as to be within striking distance of Madras for the day before and day of the eclipse. 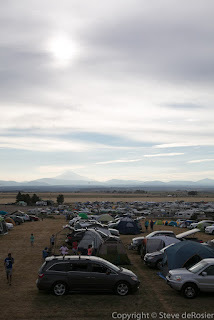 On the day before the eclipse, we relocated from our campground at Sisters to Oregon Solartown Campground in Madras. This 40 mile drive took us about two hours: the first hour plus to get there, and a second one in the line to get into the campground. 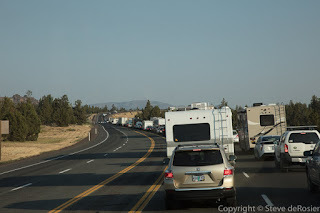 We benefited from my good planning – we left Sisters at 8am and so we only spent about 45 minutes in the long line, which eventually reached 2 miles long. I talked to others who didn’t arrive in Madras until after noon who spent over two hours in the backup! Notice that the clear skies that I came to Madras for were less than clear. We had a bit of cloud but with major fires burning both north and south of Madras we had lots of smoke and haze in the sky. I spent all afternoon hoping that the next day would dawn clear. 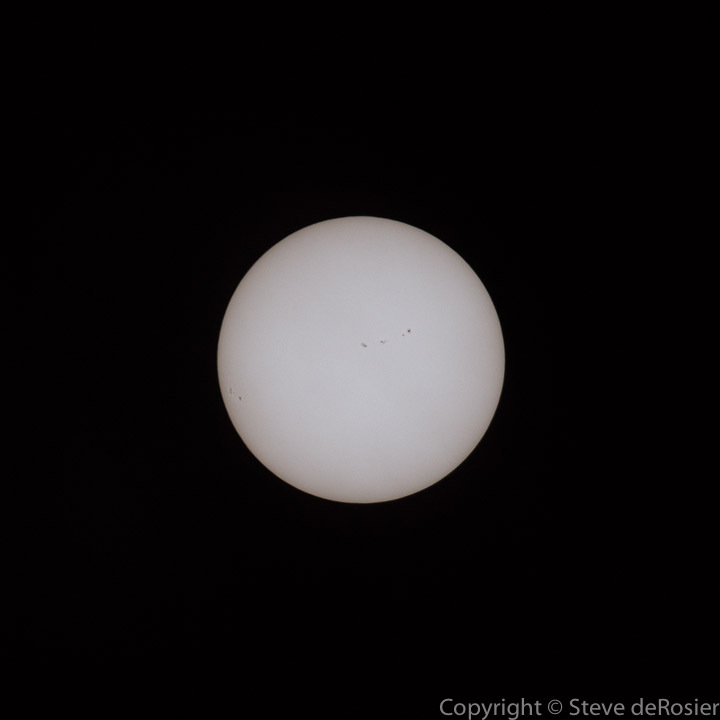 My priority was to experience the eclipse, but as I am a photographer with astronomy equipment I had to photograph it too. 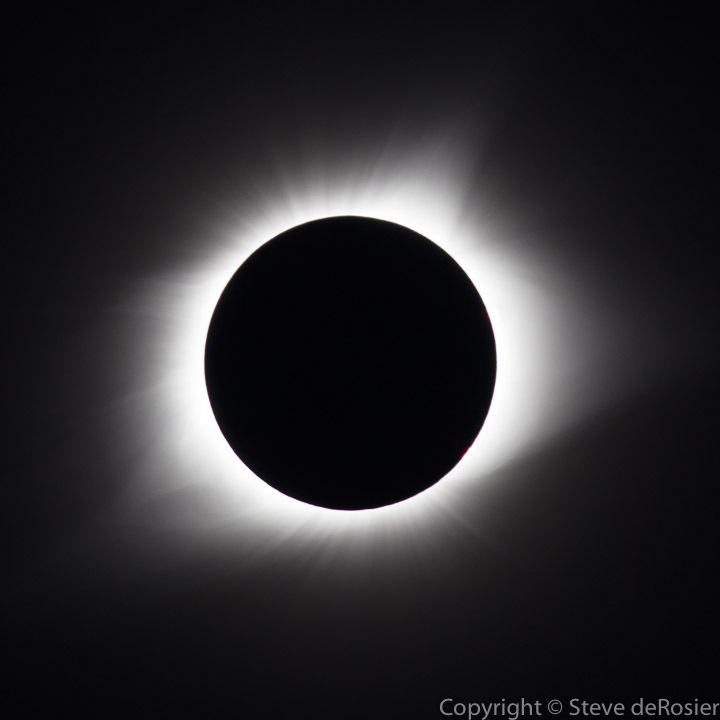 Totality only lasts about two minutes and according to many accounts only feels like eight seconds, so I knew the key to getting good photos and enjoying the eclipse was going to be preparation. A few weeks ahead of time, I rented a lens from lensrentals.com. I purchased Baader Astrofilm from Astro-Physics and made filters for my lenses. And the day before leaving home, I set everything up and tested it so that I knew I had everything packed and it all worked. The night before the eclipse I set up my telescope and fully aligned it. While I wasn’t planning on taking photographs through the telescope because the focal length is too long, I was going to piggy back on it so I could use the mount to track the eclipse for the camera. With all that done, I went to bed. Note the heavy smoke in the sky. Luckily for me, it didn’t affect the eclipse much. While I’m sure the majority of people in Madras that day were Americans, I met people from all over the world. The aforementioned man was from France, another from Holland, and the people right next to us were from China. Cindy and Trevor did not travel with me, since Trevor started middle school the day I left. As I was planning my trip, Cindy asked me what she and Trevor would be missing by only seeing a partial eclipse. My answer? “Everything." A partial eclipse is as different from a total eclipse as night and day. 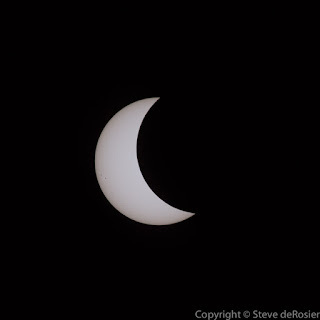 The partial eclipse started in Madras at 9:06 am. This is what we refer to as C1. Over the next hour, it got darker and the air started to cool. My mother and sister both complained about getting chilled. Along with the cold, my skin started to prickle. I’m sure there was no actual real effect there beyond the excitement of the moment, but it was still real. As we approached totality, known as C2, people started getting quieter. Then a huge shout came up from the main campground area about a quarter mile to our west. Moments later, Baily’s Beads and the Diamond Ring appeared and it was time to remove our glasses and filters. My mother was so entranced by the partial, that when it suddenly went black, she was just staring at a black sky and didn’t understand why she couldn’t see anything. My sister reminded her to take her glasses off and I could hear a gasp. This was what we were all there to see. 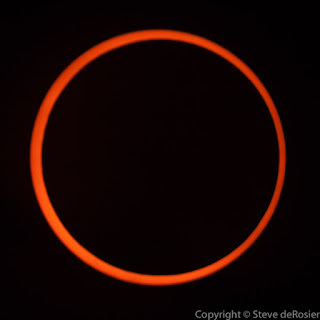 A total eclipse of the sun. 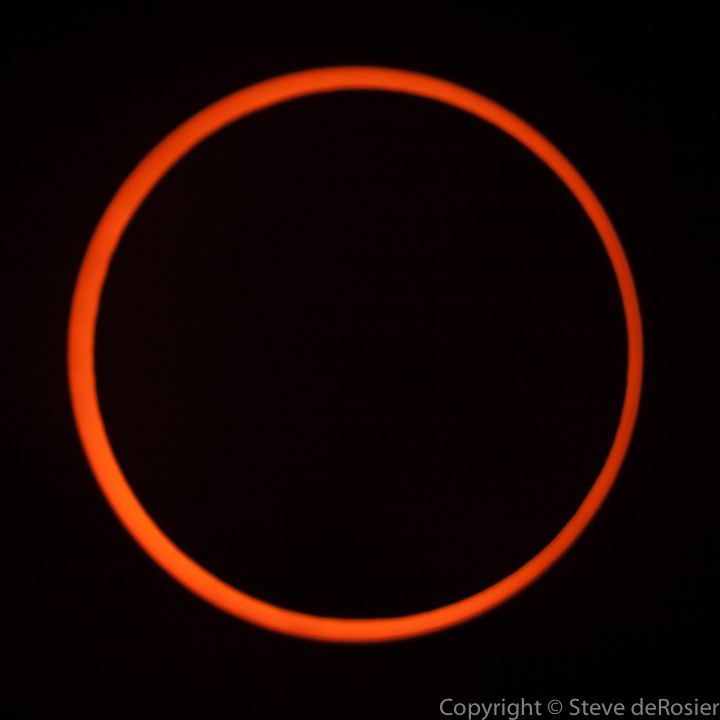 The Sun’s corona, which is only visible during an eclipse. I hardly have the words to express the moment. 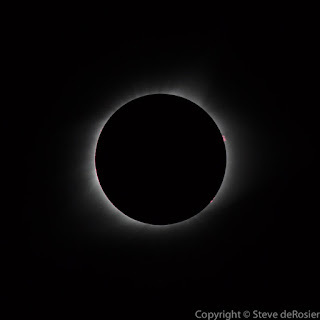 I had waited over 30 years from the first time I knew I wanted to go see an eclipse to the moment I actually got to see one. And it was worth every moment, every effort at planning. It was a momentous and life-changing event, right up there with getting married, my son being born, and any other major event in my life. I loved and relished every moment of it. 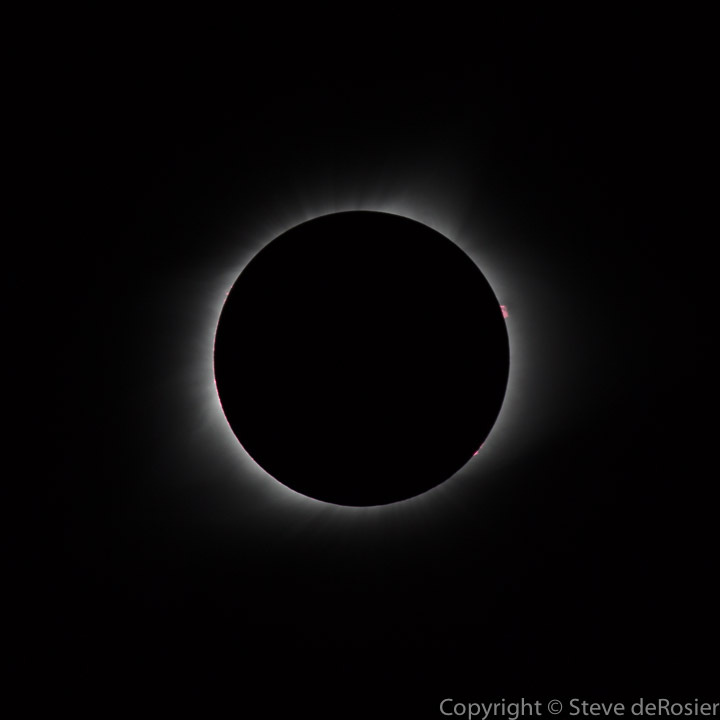 Unfortunately, those two minutes of totality only lasted exactly 8-seconds because during an eclipse time just flies that fast. Even after all that, there were still photos to take. The Diamond Ring appeared again and the filters went back on. Many people hopped right in their cars and zipped out the second totality was finished. Over the next hour, I continued to take photographs so I could do the composite series I wanted to do. I talked to people and gave out cards to this blog. I tried to sear the moment of totality in my mind. Was all of it worth it? Absolutely. I am now hooked and someday will go see another total eclipse. However, I should do the next item on my bucket list first: go see the Aurora Borealis. Wow! That IS amazing. 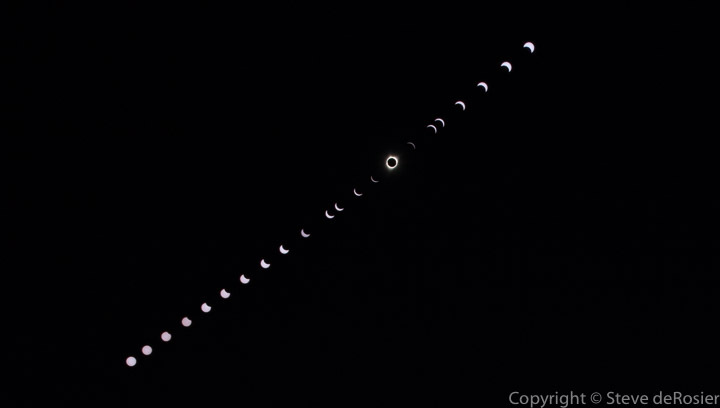 I didn't participate in the viewing of the Solar Eclipse because TBH I don't quite understand it, the science behind it, and knew even if I did there was no way I would be able to get a true, and such a fabulous, view of it! Thanks for sharing! Awesome pictures and commentary, Steve. Thanks for sharing! Steve, these pictures are amazing. Thank you for sharing your story and your photography. You did an outstanding job. I loved hearing about your experience. Thank you everyone. I will admit, I'm quite proud of these photos. They're the best astrophotos I've taken. It was a lot of work but totally worth it. I know that so many people got the same photo, but there's something satisfying about knowing that I personally took those. Thanks for sharing. I enjoyed reading about your perspective. Our view in TN did not have as much corona as in your picture. I'm wondering if that has to do with the sun being nearly directly overhead vs your morning view, or the fact that I'm comparing the image from memory to your photo. You'll have to come visit me in 2024 for the next one. I live in the path of totality. I am in awe Steve! It made me cry reading about your experience! That is Heavenly Fathers beautiful creation right there. What a extremely rare treat for you to witness! Thanks sp much for sharing! How exciting! I am LOVING the photos you got!! They look amazing!! I am so happy you got to go! Thanks for sharing your perspective. I never knew there was a need for so much planning. I'm sure Cindy and Trevor would have loved to tag along. Thanks Steve! I was there with you! 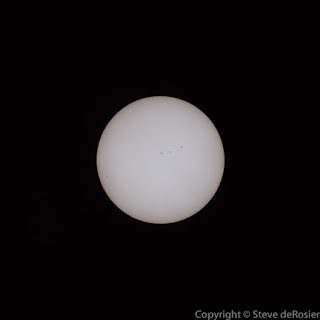 You let my 8 y/o son look through your telescope as the moon was receding and look at sun spots and take pictures through the scope. very gracious! We love the pics you got and the great blog.. we might have to follow it for the awesome Martha Stewart-like tips!